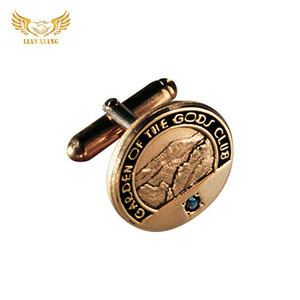 our main products are medals, metal badges, coin, keychain, bag hanger, bottle opener,bookmark, sculpture,cufflink, buckle belt and fridge magnet. we have a wide selection from materials of products, including zinc alloy, copper, iron, stainless steel, acryl, pewter, and mdf and so on. (4)100% eco-friendly material,can pass cpsia test. (6)Reliable quality and considerate service. payment T/T,Paypal,Western Union,L/C are available. size as your requirement process ways stamp, photo etch, die cast, prinitring, soft enamel,enamel etc. we custom manufacture all of our products from scratch, so we can make them any shape, any size and any design. further, the metal borders separate each zone and enable the product to be filled with different colors. our reputation among customers and their satisfaction are the main reasons for our success. if the product does not meet your strict requirements, we can provide either immediate refund or immediate remakes at no extra cost to you. plating gold, silver,nickel,chrome,anti plating,misty plating, matte etc color soft enamel, hard enamel,printing with epoxy coating etc. we do not have any intellectual property rights over the trademarks displayed and are not selling any products containing this(these) marks. crafts/process printed with epoxy others for your choose, printed with epoxy, die struck/cast enamel,photo etched,epola/imitation cloisonne,hard enamel/cloisonne ect. 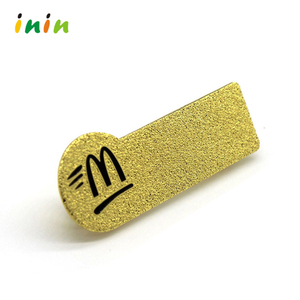 item promotional stainless steel printing badge material stainless steel you can also choose others you prefer like brass,zinc alloy,pewter, stainless steel,aluminum ect. we are fully committed to producing technologically advanced led promotional gifts, flashing novelties, blinking ornaments & light up souvenirs . also oem & odm are fairly 'quality is superior, service is supreme, reputation is the first' is our eternal pursuance. 6. Led badge can attach to clothes or other surfaces. 8. Light up led pin have various light color such as red, blue, green, white, orange and multi colors. 12. Flashing Led badge with black lanyard and you can hang it to your neck. 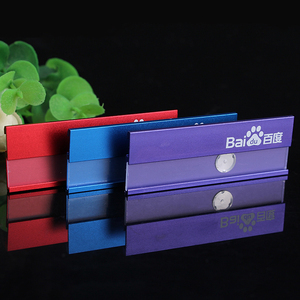 novelty rectangle name badge machine plating color nickle or any pantone color are available. customized samples would be charged and fees could be refunded when the mass order be placed(based on your quantity). 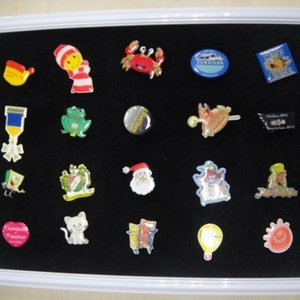 We're a professional manufacturer of pin badge, metal badge, button badge etc. 2. If need special packing or carding, please list them in your Email. Q: You are factory or trading company9 A: We are factory direct sales. it is also ok if you do not have the complete files. send us high resolution images, we can design the layout you want. we are fully committed to producing technologically advanced led promotional gifts, flashing novelties, blinking ornaments & light up souvenirs. also oem & odm are fairly 'quality is superior, service is supreme, reputation is the first' is our eternal pursuance. 6. Led badge can attach to clothes or other surfaces. 12. Flashing Led badge with black lanyard and you can hang it to your neck. 13. We have over 100 kinds of different shape of led badge. 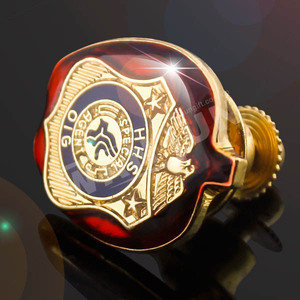 Alibaba.com offers 241 novelty name badge products. About 19% of these are badges, 7% are badge holder & accessories, and 1% are magnetic materials. A wide variety of novelty name badge options are available to you, such as 3d, magnetic, and nickel-free. 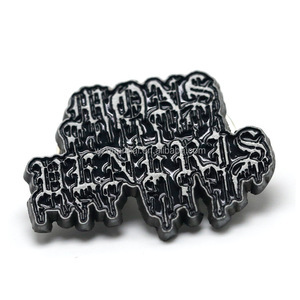 You can also choose from badge holder, permanent. As well as from metal, plastic. And whether novelty name badge is brass, zinc alloy, or aluminum. 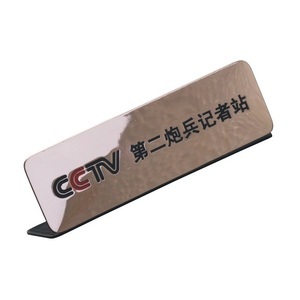 There are 161 novelty name badge suppliers, mainly located in Asia. 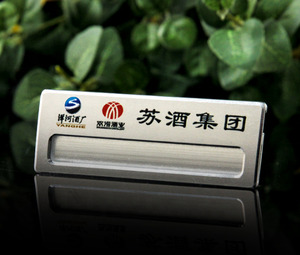 The top supplying country is China (Mainland), which supply 100% of novelty name badge respectively. 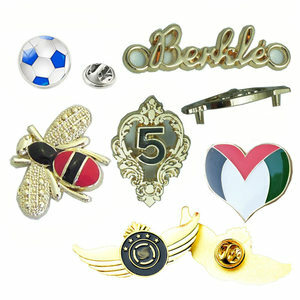 Novelty name badge products are most popular in North America, Western Europe, and Southern Europe. You can ensure product safety by selecting from certified suppliers, including 27 with ISO9001, 12 with Other, and 7 with BSCI certification.